In this series of articles, I have explored the sustainability and affordability crisis in Australian housing. I’ve looked at some of the driving factors, from historic circumstances, global macroeconomic changes, rising class inequality and the explosion of capital of the new global elite on to international property markets. In this final article, I want to explore the role that architecture and urban design can have in tackling these problems. Through research and a series of interviews, I have pulled together various perspectives from architects who have focused on these aspects. The traditional Australian dream of a detached house on a quarter acre block, a large yard and a Hills Hoist is under attack from two sides, sustainability of our cities and affordability of our homes. Cheap land, a desire for space and the family car resulted in sprawling low-density Australian cities, and as our cities have gotten bigger they have suffered increasing infrastructure problems. It costs us a huge amount of resources to build and service our suburban dream. The other great issue affecting Australian cities is housing affordability. With property prices in major Australian cities soaring in the past decade the dream of everyone owning their own home is seemingly rapidly receding for younger generations. To provide sustainable, affordable and desirable housing in the future there seems to be a developing consensus that our existing models are not working. The architects I spoke with agreed we need a diversity in housing forms. The projects they are working on look to medium density developments to provide flexible and interesting outcomes to the current challenges. I spoke with some key figures behind three developments in Perth and asked about their projects and their views on how architecture can hope to contribute towards happily housing Australia’s cities in the future. Architect’s Drawing of Baugruppen White Gum Valley. Space Agency Architects. Baugruppen White Gum Valley Site. Photo by Djuna Lee. “Baugruppen” which means building groups in German is a model where future owner-occupiers join together to become developers of their own separately titled homes. Led by former government architect Geoffrey London and designed by Spaceagency this project in White Gum Valley will be Australia’s first multi-unit Baugruppen and Western Australia’s first One Planet Community development. Geoffrey London explained how the building plan is flexible, consisting of interchangeable stacked modules that range from 1 bedroom studios to double storey 3 bedroom dwellings. The clever use of a central core means that each module has no shared walls and also allows each apartment to have cross ventilation, natural light and private outdoor space. 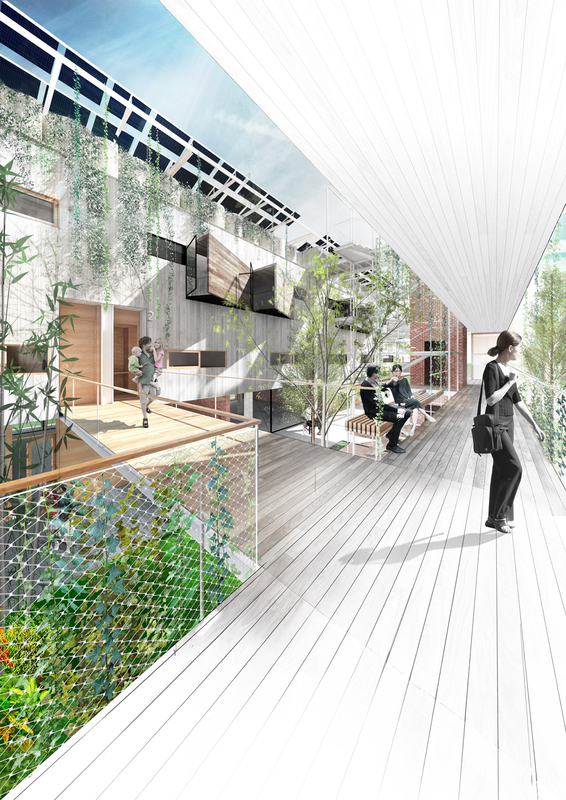 The design also includes shared facilities such as guest apartments, community gardens and outdoor living spaces. 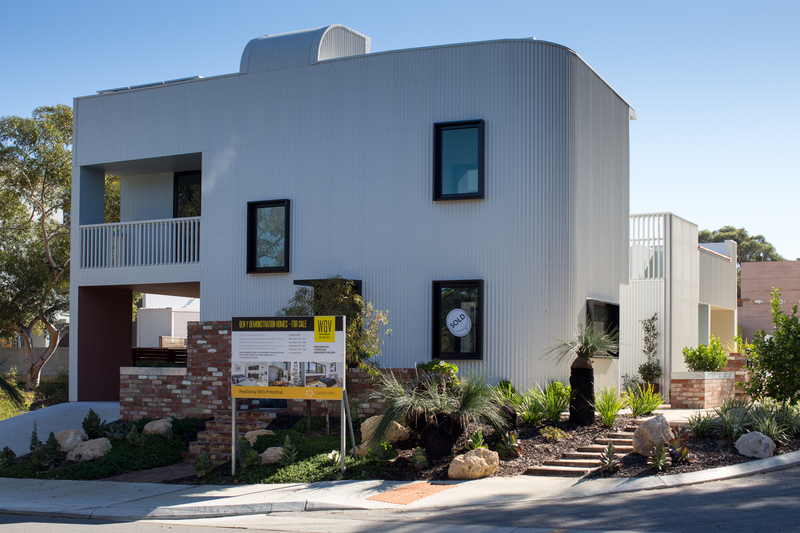 Dwelling Modules: Baugruppen White Gum Valley. Space Agency Architects. The Baugruppen are able to achieve all this at a reasonable price mark, with 1 bedroom studios from $260,000 and 3 bedroom dwellings under $700,000 by cutting out a developer’s profit as well as sales and marketing fees. Another benefit of the residents taking control of the development is that the buildings are designed for their long-term needs rather than purely for maximum profit. 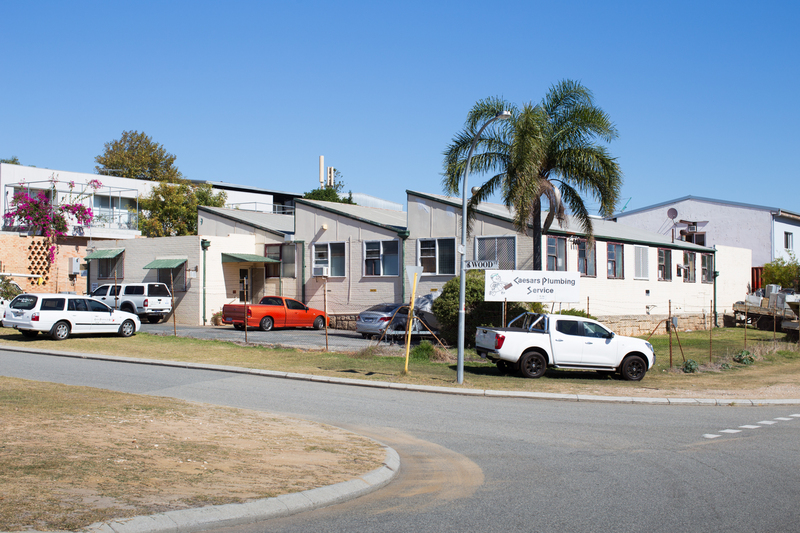 As part of this project, LandCorp and the University of Western Australia are collaborating in working towards creating a model that can be replicated across Australia. “Step House” by David Barr Architects. Photo by Djuna Lee. Given the average Australian house size of 241 sqm, it is refreshing to see a development that accommodates 3 dwellings on a 250 sqm site. According to David, the project “essentially falls between a standard residential home and a multiple apartment block. It is an apartment but it is of such a small scale that it reads more like a house and I think having smaller, multiple dwellings is actually a crucial way forward.” It is one that responds to shifting demographics in which single person households are becoming increasingly common. Despite their size, there is no sacrifice on liveability with each apartment having private as well as shared communal external areas, plenty of storage, generous ceiling heights and high thermal efficiency. Architect’s Drawing of Nightingale Fremantle. EHDO Architecture. 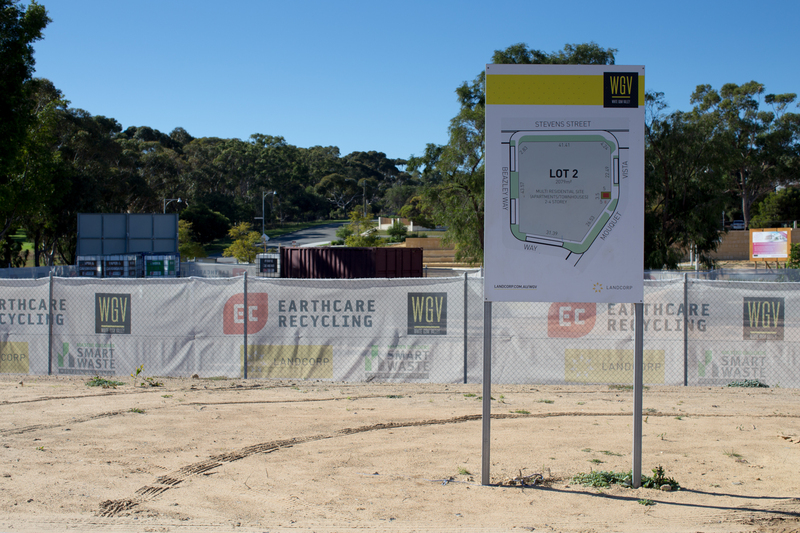 Just down the road from White Gum Valley is the site of Perth’s first Nightingale Housing development, designed by EHDO Architecture. 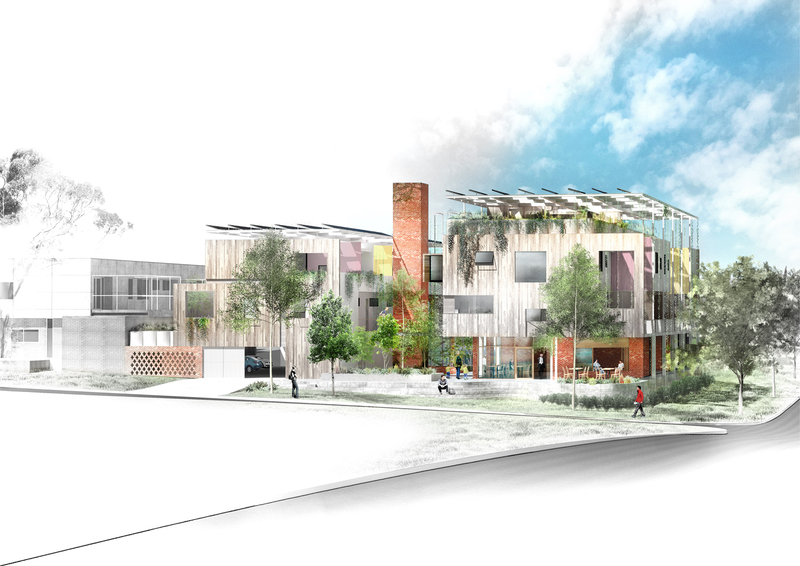 The Nightingale Model was founded by a group of Melbourne architects that deeply cared about the collection of issues surrounding sustainability, affordability and liveability of Australian cities. The Nightingale and Baugruppen models share many similarities. Both make use of shared facilities and have sustainable and community-driven goals. The main difference in the Nightingale model is that it involves a group of ethical investors. In the Baugruppen model, the building group needs to raise their own equity to fund consultants, buy the land and start construction. In the Nightingale model, the ethical investors help to fund these initial costs however their profits are capped at 15% compared with the standard 30% earned by most developers. 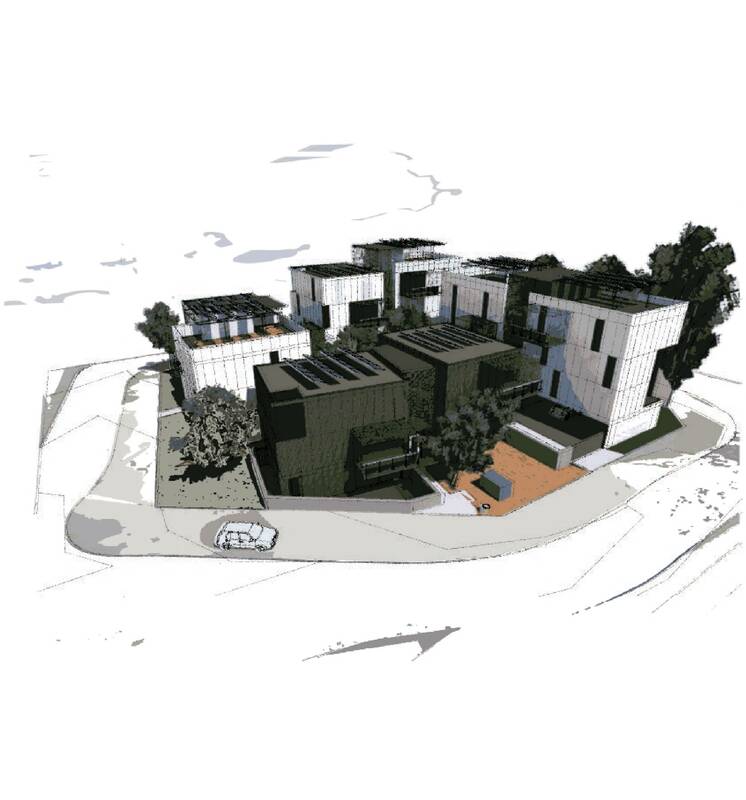 The project is in detailed design stages at the moment, however, I caught up with Dimitri Kapetas, director at EHDO Architecture, to find out what to expect. There will be 12 apartments as well as 250 sqm of commercial space on the site. Surveys have recently been sent out to all interested buyers and their responses will be taken into account in the design. There won’t be many one bedroom apartments as “the most expensive part of building apartments is the wet areas and you need the same amount of wet areas for a one bedroom as you do for a two bedroom. For 20sqm of bedroom spaces, the cost of the apartment only increases so much.” Instead, EHDO is exploring the idea of using removable walls to create flexible room arrangements within the apartments. The rooftop is a key element in the design which will include shared productive gardens, communal laundry and drying areas and a PV canopy that will account for 80% of the building’s power needs, helping to reduce operational costs. EDHO are also planning to include short term stay apartments on the roof level that will be available for Nightingale tenants to rent out from the body corporate if someone comes to stay, preventing the need for a spare bedroom. The same concept will be rolled out in the commercial area with areas divided off and made available for rent as a potential office or short term space. Three electric cars will also be made available to tenants to rent from the body corporate. What these three projects all share in common is a desire to develop housing models that carefully consider sustainability and affordability while being flexible and desirable. They demonstrate that innovative approaches to housing through increased architectural involvement is key in solving the problem. It is unlikely to consider that the average Australian detached house could or should be individually architecturally designed but that is not to say that architects cannot exert a role in reshaping our development model. It is encouraging that LandCorp are playing an important role in these projects and continued government involvement and coordination with developers and industry is essential in tackling the problem. You can view Ken Maher’s full speech here. I would like to thank Ellen Ashenden, Geoffrey London, Dimitri Kapetas, and Philip Stejskal for providing their insights on this topic. Nathan Johnson, “Ken Maher’s Full Speech to Parliament on Housing Affordability,” Architecture and Design, March 23, 2017, Accessed June 6, 2017, http://www.architectureanddesign.com.au/news/ken-maher-s-full-speech-to-parliament-house-on-hou. “Baugruppen,” Baugruppen, Accessed June 6, 2017, http://www.baugruppen.com.au/index.html. “Gen Y Project,” LandCorp, Accessed June 6, 2017, http://www.landcorp.com.au/innovation/wgv/initiatives/Gen-Y-House/. “Gen Y / Step House,” David Barr Architects, Accessed June 6, 2017, https://davidbarrarchitects.com.au/multi-residential/gen-y-step-house/. “LandCorp: Innovation through Demonstration at White Gum Valley,” YouTube Video, 4:43, posted by “LandCorp,” June 16, 2015, https://www.youtube.com/watch?v=n_7f_ynBw8I. 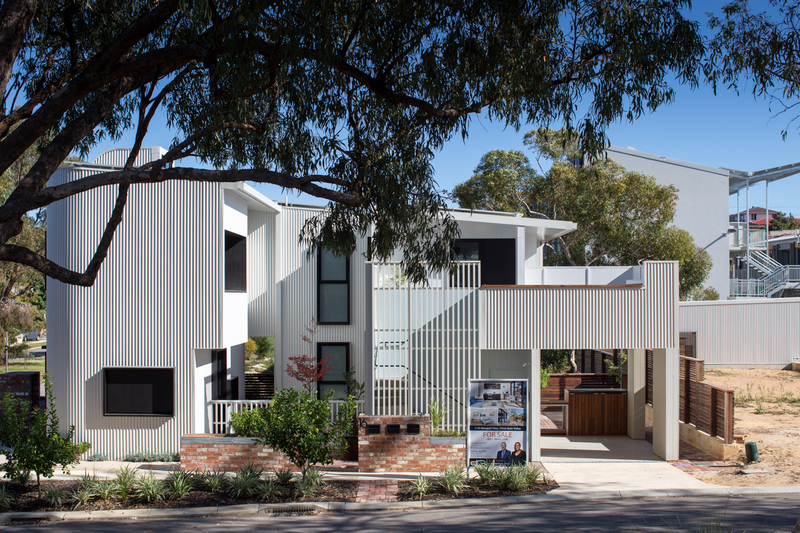 LandCorp, Gen Y Demonstration Project, (Perth: LandCorp, 2016), http://www.landcorp.com.au/Documents/Projects/Metropolitan/Gen%20Y%20House/Gen-Y-Demonstration-Housing-Project-November-2016.pdf. “LandCorp: Gen Y Demonstration House Competition Finalists,” YouTube Video, 16:37, posted by “LandCorp,” April 1, 2014, https://www.youtube.com/watch?v=eIQIwlYvF5M. 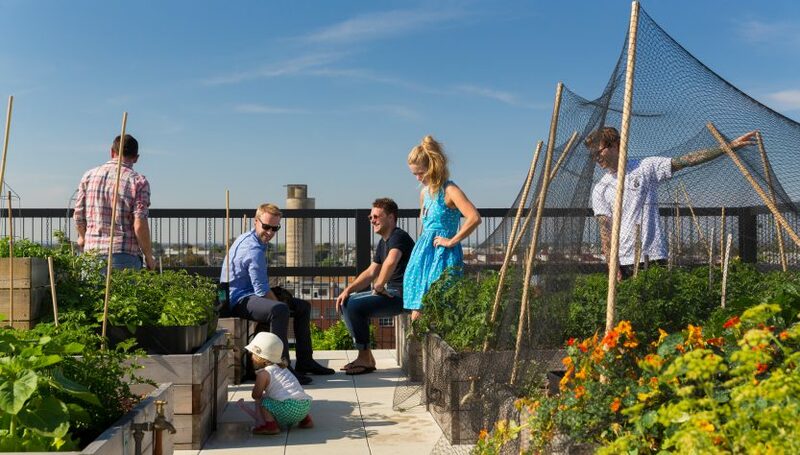 William Yeoman, “Imaginative Gen Y Project Finds a New Way of Living,” The West Australian, April 22, 2017, Accessed June 6, 2017, https://thewest.com.au/entertainment/art/imaginative-gen-y-project-finds-a-new-way-of-living-ng-b88448408z. Dimitri Kapetas (director, EHDO Architecture), in discussion with the author, June 2017. Wuttke, Andrew. “The Commons.” Digital Image. Nightingale Housing. Accessed April 10, 2017. nightingalehousing.org/the-commons/. “Baugruppen White Gum Valley.” Digital Image. Space Agency Architects. Accessed April 10, 2017. http://www.spaceagency.com.au/portfolio/baugruppen-wgv/. “Dwelling Modules Baugruppen White Gum Valley.” Digital Image. Space Agency Architects. Accessed June 6, 2017. http://www.spaceagency.com.au/portfolio/baugruppen-wgv/. “Nightingale Fremantle.” Digital Image. EHDO. Accessed April 10, 2017. https://www.ehdo.com.au/nightingale-freo/. I'm a musician, composer and designer based in Perth, Western Australia. My performance practice spans a wide range of musical styles including experimental, improvised and jazz music and I enjoy collaborating with artists across varying disciplines. I am also fascinated by architecture and urbanism and have recently begun a Masters in Architecture at UWA. 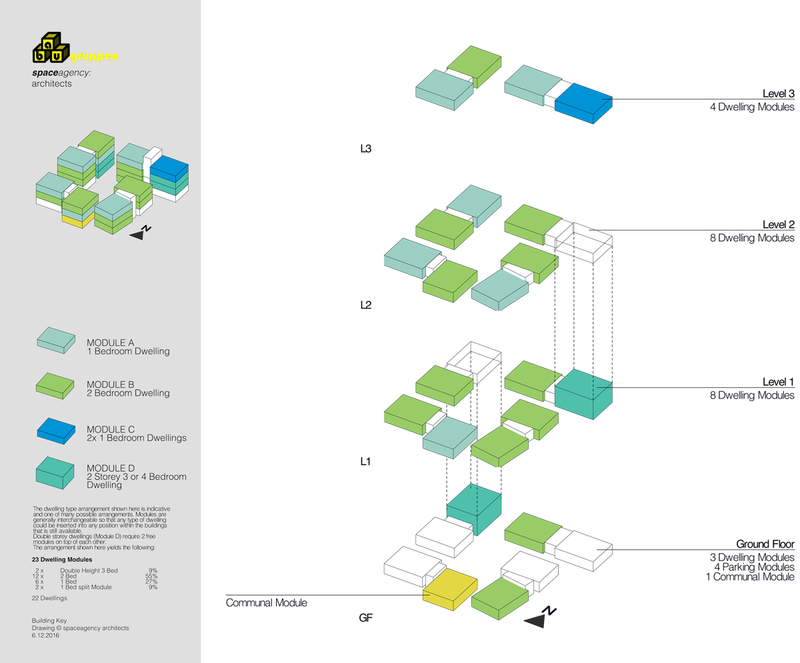 Public spaces in cities: How do they work?